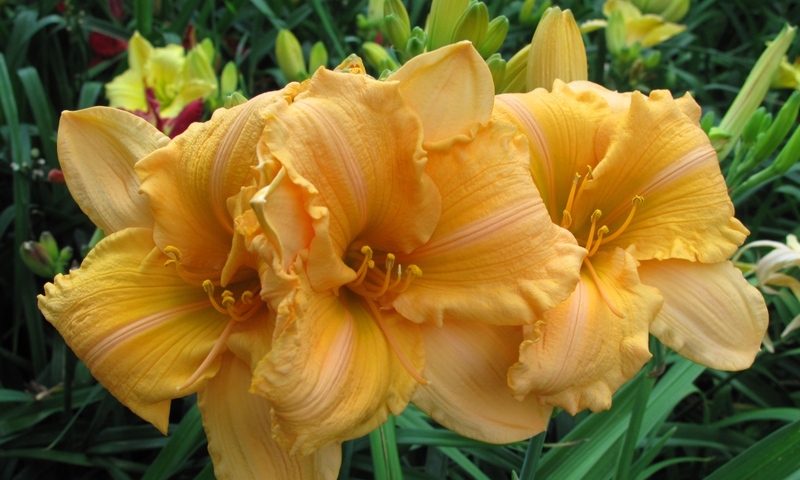 Orange Velvet is a long time favorite of ours from one of our favorite hybridizers. Usually exceeds its registered height in our gardens, OV has heavy heavy substance in the blooms, strong upright scapes, excellent foliage and intriguingly beautiful flowers. We haven't offered OV for sale for several years preferring to keep and enjoy all of it ourselves. It multiplies well & has reached the point that we are going to divide at least one large clump to share with others. 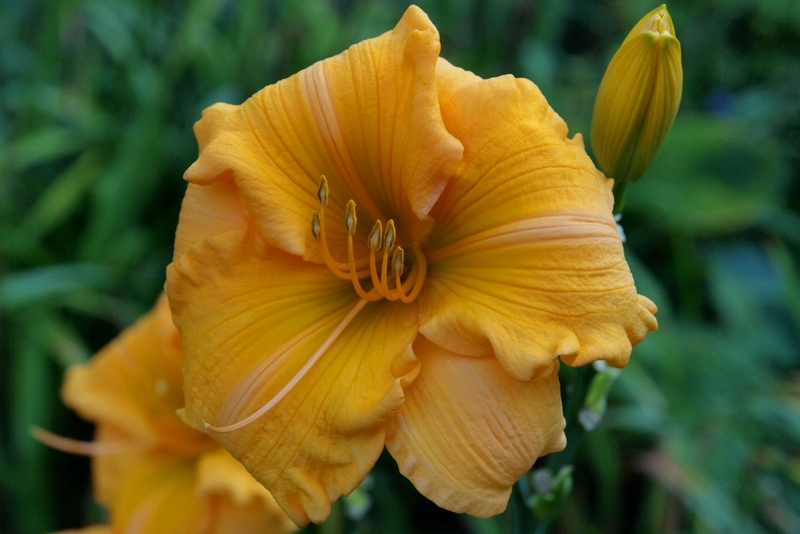 Orange Velvet consistently blooms with clusters of flowers.